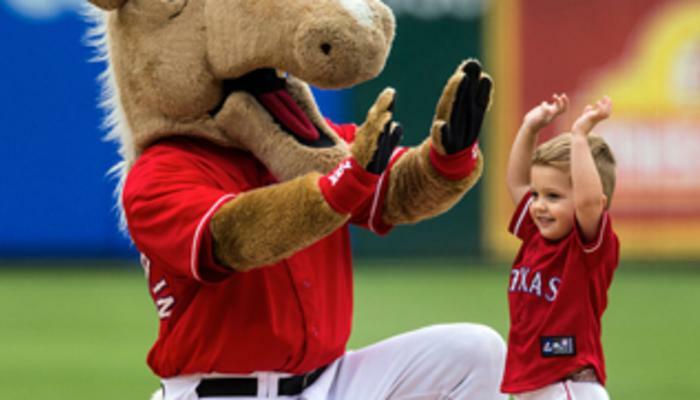 The boys are back at Globe Life Park, so come on out and cheer them to victory as they take on the Kansas City Royals. This weekend’s promotions include Friday Night Fireworks (woo-hoo!) and bobblehead giveaways. Times: Friday and Saturday at 7:05 p.m., Sunday at 2:05 p.m.. See website for Rangers ticket specials. More. Dig out those scrunchies. It’s time for a 90s themed skate party at Arlington Skatium, complete with music, costume contests, and tons of retro fun. Time: Friday from 7 to 11 p.m. Admission: $8 (includes skate rental; $1 extra for inline skates). More. R Bar & Grill’s Executive Chef, Marcelo Vasquez, has perfected a variety of tasty new appetizers, salads and entrées to round out the restaurant’s Summer Menu. Available now, new items include: Jumbo Blackened Scallops, a Lobster Club Sandwich, Fried Chicken Wrap and more. R Bar is open seven days a week from 11 a.m. – 11 p.m. on Sunday through Thursday, and 11 a.m. – 12 a.m. on Friday and Saturday. Happy Hour is available Monday through Friday from 4 p.m. to 7 p.m. More. If you’re living in or visiting Arlington and you haven’t taken advantage of the opportunity to go behind the scenes at some of the top sporting venues in the world, it’s time to do something about that: AT&T Stadium Tour Info / Globe Life Park Tour Info. Times and costs: See websites for details. Challenge your limits and have a blast while you’re doing it at the Dyno-Rock Indoor Climbing Center! Beginners and youngsters welcome. Times: Friday and Saturday until 10 p.m.; Sundays until 7 p.m. Cost: Day passes are $12; see website for additional details. More. Haven’t made it to Six Flags this season? Then you’re missing out on three new thrill rides, a new “virtual reality” roller coaster, and a whole universe of fun! So seriously, what are you waiting for? Hours: Open Friday-Sunday from 10:30 a.m. to 10:30 p.m. Costs: See website for ticket prices and special offers. Dive bars? Yeah, we got ‘em. Sports bars? Yep, those, too. Pubs and pool playing? You know it, baby! Get the lowdown on Arlington’s night life here and here — and don’t forget to designate a driver or arrange for a sober ride before you head out. Vroom, vroom! Indulge your need for speed and adventure at one of the nation’s premiere indoor karting race tracks. Pricing: Begins at $19.99, see website for pricing packages. Hours: Open until midnight Friday and Saturday and until 10 p.m. on Sunday. More. Did you know that historic Downtown Arlington is home to some pretty swanky spas and salons? It’s true, and you can discover what they have to offer when you book some quality “you” time this weekend and indulge in a hot stone massage, relaxing facial treatment, makeover or more. Talk about your watery playgrounds! Cool down in an avalanche of cold blue water and enjoy some of the most thrilling rides around. While you’re there, be sure and check out Hurricane Harbor’s all-new American Grill, featuring classic summer food, music and fun. Hours: Friday-Sunday, 10 a.m. to 8 p.m. See the website for ticket pricing and specials. Warm up your wallets, shoppers! The tax-free weekend kicks off next Saturday, Aug. 5. Discover shopping options in Arlington, TX.